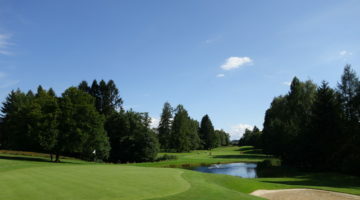 The 18-hole Maison Blanche course, some 10 miles north of Geneva, is in the French town of Échenevex. The old trees to the sides of the fairways are truly impressive, as are the views over the Alps and Mont Blanc. Be assured the course is extremely challenging. It’s long too, at more than 6,700 yards, and you will need to overcome numerous large water obstacles. 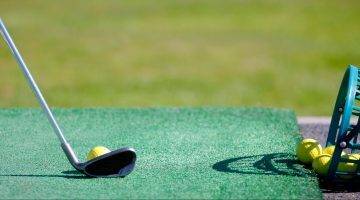 If you want to test your golfing skills, then the Maison Blanche course is ideal for you. Driving range, practise bunker, putting green, 9-hole-practise-course. 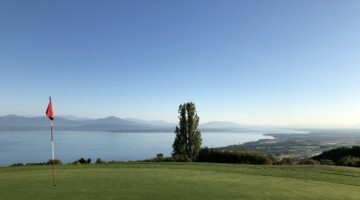 Members of ASG Clubs, members of international recognized clubs/associations, ASGI, Golfcard Migros- Members with Handicap 30.0 or less are welcome from Monday to Friday on the 18-hole-course. On weekends only members and member’s guests on the 18-hole-course. The public 9-hole-course is open to all players from Monday to Sunday.